Twitter is one of the biggest social networking site in the world and definitely one of the most active virtual networking site. Twitter provides a great platform to interact with your customers, readers and like minded people. You can use twitter to understand your targeted audience. You can see the kind of people they follow and why they follow. Having a twitter strategy will help you in positioning yourself and your business to extract best out of twitter. Twitter has grown tremendously and it is so active that if you don’t a good strategy then chances are you will not gain anything there. Average visibility of tweet is not much on twitter and random tweeting and following often doesn’t yield much because of extremely high competition. Before you begin with implementing your twitter strategy to get traffic for your blog or other form of business, you need to understand your primary requirements and the focus area. Twitter Business Strategy revolves around creating a brand value for yourself. As mentioned earlier, twitter is highly successful and it has grown tremendously, millions of tweets are done every day. You tweet would be visible for just few seconds and then it is lost in a ocean of tweets where nobody is going to bother to dig for it. Therefore it is imperative to have a twitter strategy specifically designed for twitter rather than following some generic social media strategy which is applicable for all. In fact, you should have separate strategies for all kind of social networking sites like Facebook, Linkedin and Google+. I have four twitter accounts and I use them with each other to get the best out of it. I am not saying it is best, but it has done fairly well for me. You have to devise your own strategy but here are some of the points which you can consider while designing your custom made twitter strategy. You should create a good profile. You can use custom header and background for your profile. So see if you need it and if you are a business, it is a good idea to use something like your logo or business photo use it as header or background. You should carefully enter information in bio. You should also use hashtags in bio so that if people are search for the people hailing a particular niche, they can find you. It will be based upon your niche like SEO, blogging or anything else restaurant, real estate etc. Twitter has changed the way we as a human being used 140 characters in our communication. Other social networking giants like Facebook, Google+ and Linkedin allow you to use enough characters and words’ so putting your keywords in that is fairly easy. In case of Twitter, you are limited to 140 characters therefore it is important to include your keywords in tweets. You should use hashtags with your keywords so that it is easy for people to search for your tweets on twitter. Using hashtags is quite tricky. You should use them wisely. At times, it is better to use unique hashtags whereas for some niche, it is better to use commonly used hashtags like #SEO, #socialmedia etc. You should also experiment with the placement of hashtags in your tweets like placing #hashtags in the first part of your tweet or somewhere in middle or at the end of your tweet. So just experiment and observe what kind of placement deliver best result for you and follow that strategy. 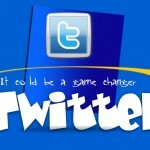 Hashtags plays important role in Twitter Search. You should start with following others from your niche. You should only follow those who are active on twitter and have good presence. You can check their activity by visiting their profile. If someone is not active on twitter then there is no point in following them as they are not going to be responsive to your tweets. Also, make sure that you follow people from relevant niches. This is one of the best method to Grow Twitter Following. Place your twitter follow button on your blog so that your visitors and readers can follow you. Place the twitter follow button in your email signature so that those who receive emails from you can follow you. You should also promote your twitter id to your subscribers so make sure that you place twitter follow button in your blog broadcast and newsletters which are send out by your email auto responder to your subscribers. Add your twitter id at other social networking sites like Facebook and Google+ so that your followers on other site can also follow you on twitter. You should comment on blogs using commentluv premium plugin because it allow you to add your twitter id in the comments. It is a very good technique for bloggers to promote their twitter id and get twitter traffic. Twitter marketing strategy or twitter traffic is not just about tweeting your blog’s or website’s content. It’s more about your interaction on twitter with your peers. In fact, this is a universal truth as far as any kind of interaction on social media sites is concerned. You need to favorite and retweet content of other members on twitter. It will highlight you and they in turn will follow you and retweet your content. These are some of the broad level twitter strategy which can help you in devising your own strategy. There is nothing like “Fit for all” strategy but if you customize them to suite your need, then I am quite sure that it will be helpful for you. Twitter is not just another social sites, it’s much more. You can also read twitter blog in order to get information on their latest features. Please share your thoughts and experience on twitter marketing and twitter strategies. Twitter is very helpful for generate traffic. You just make a complete plane and daily utilize it. Twitter has been very helpful for me in order to drive traffic. We just have to know how it is utilized properly to our advantage.